Facts aren't always enough to change the minds of people opposed to certain ideas, and that paradigm was proven by the response to the release of a recent Washington University study. 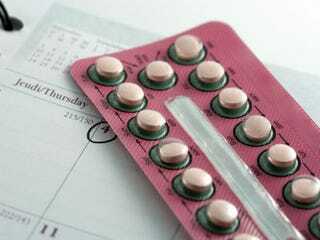 According to Jezebel, researchers at the St. Louis school found that when birth control was free, most of the city's women participating in the study chose the most effective form of contraception and were less likely to have unintended pregnancies and abortions. Despite this information, conservative groups in the state have taken legal steps to block President Obama's mandate making birth control free. One would also think that this new data would make anti-abortion advocates chill out — perhaps even embrace? — the Obama administration's soon-to-be implemented contraception mandate … this week, a federal judge in St. Louis dismissed a lawsuit challenging the contraception mandate, and the AP says nearly three dozen similar suits have been filed around the country. "Additionally, one might conclude that the Obama administration's contraception mandate may ultimately cause more unplanned pregnancies since it mandates that all health plans cover contraceptives, including those that the study's authors claim are less effective." Which basically means she stuck her fingers in her ears and closed her eyes while saying "NA NA NA I CAN'T HEAR YOU" in a sing-songy tone.